When we signed up for our weekly veggie share we made a pact to challenge our comfort zone and use every item, regardless of whether we’ve never heard of or tasted it. Occasionally the obscure squash will throw us off a bit, but for the most part we’ve done pretty well learning to use all the items each week. In fact, we’re almost disappointed when something common, like lettuce, is thrown in the mix. This time of year our weekly veggie share is packed with items like crisp green apples, kale, cauliflower and mushrooms which are all items we regularly use so there’s not much exotic going on in our kitchen. So when you find yourself with 8 delicious, crispy green apples, you can either throw them in a smoothie, juice them, make homemade apple sauce, or make something much more enjoyable. 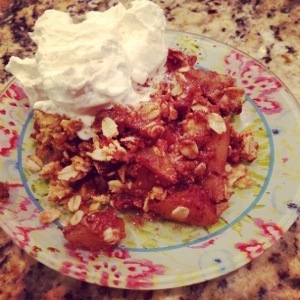 Like Baked Apple Crisp. Think apple pie, but healthier. In a bowl toss sliced apples, lemon juice, cinnamon, nutmeg and 1 tbsp of agave, honey or maple syrup. While apples bake, mix the rest of the ingredients in a bowl. Break up coconut oil and mix it in as well as you can. After baking the apples for 10 minutes remove them from the oven. Sprinkle and spread the topping mixture over the apples. Place back in the oven and bake for 20-25 minutes. 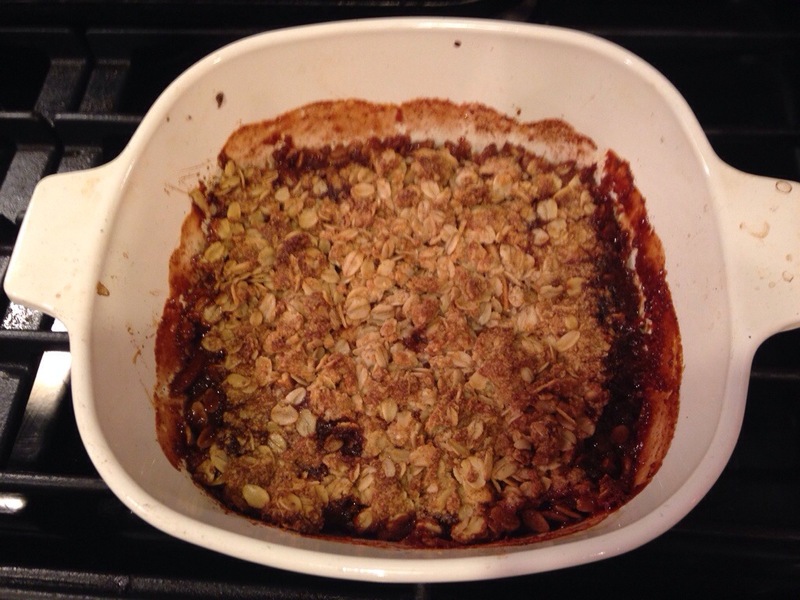 Apple Crisp is done when the topping is golden brown. « Enter for a chance to win a gluten-free Happybelly Box! 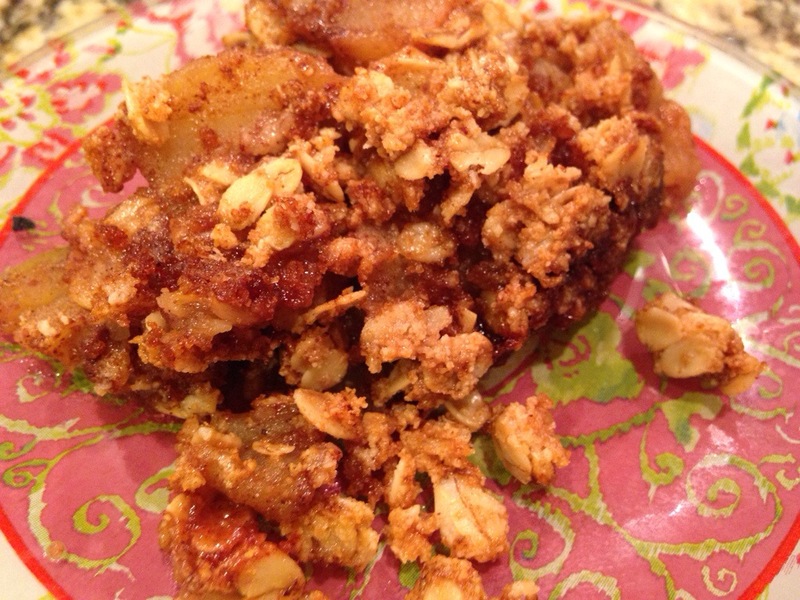 1 Pings/Trackbacks for "Vegan, gluten-free Baked Apple Crisp"